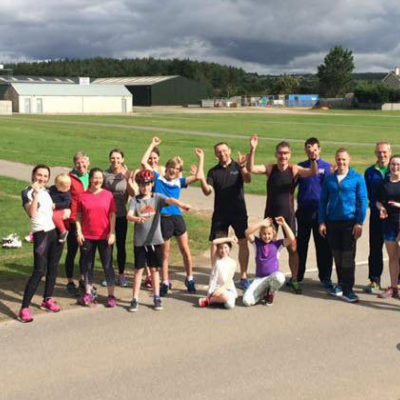 Another first for Triathlon Inverness with coaches, club members and their families all heading over to the Black Isle Show Ground for some closed road skills sessions. This will hopefully be another case of ‘the first of many’ as the club looks to grow its junior and family involvement. 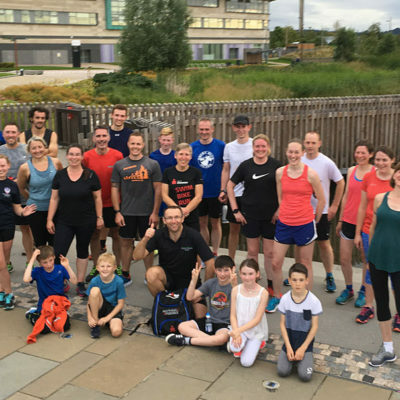 Looks like everyone had a blast and learnt lots of skills. Look out for the next one! 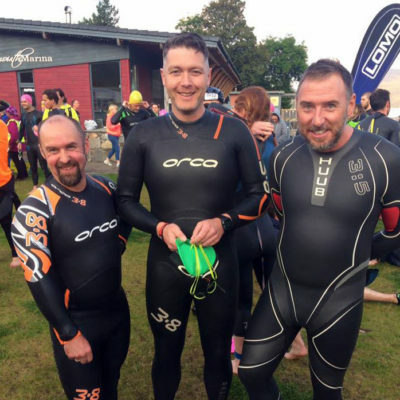 Martin was putting his amazing ultra legs to the test again with another Ultra Marathon. This time he was tackling 71km which maybe seemed like a walk in the park compared to the previous distance of 71 miles that he undertook! Marin was at the pointy end of the field again and took 6th place. Congratulations Martin! 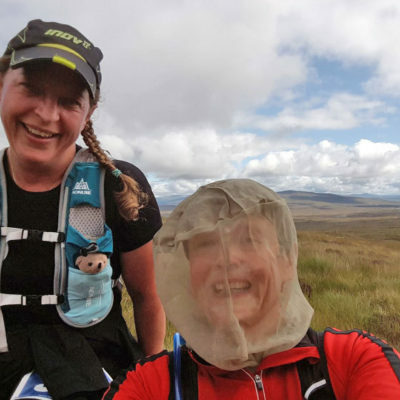 Aberfeldy is always a firm favourite on the race calendar and this year was no different with the Dragon Slayers, Darren, Unwin and Graham all heading down. Barry McKelvie was also there along with Sarah and Terry. 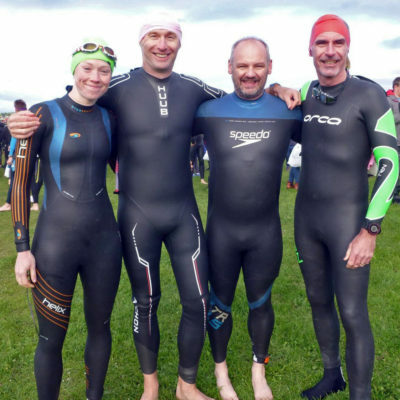 A few other local Inverness triathletes from G Squad were also in action including Ruth, Pete and Jen who is returning to racing after the birth of their daughter Charlotte. Well done Keith, this is a great achievement. 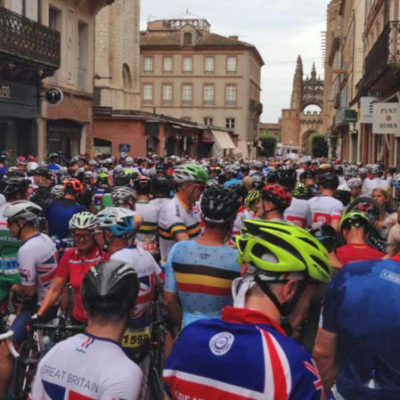 Ironman has made it to Scotland – I’m sure there are mixed views about this but for all the expense and big branding of Ironman, they do put on a great event. 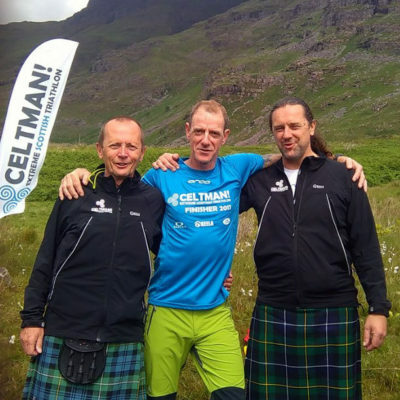 The race directors are well known in Scotland (Paul McGreal from Durty Events and Richard Pearson who organizes Aberfeldy). 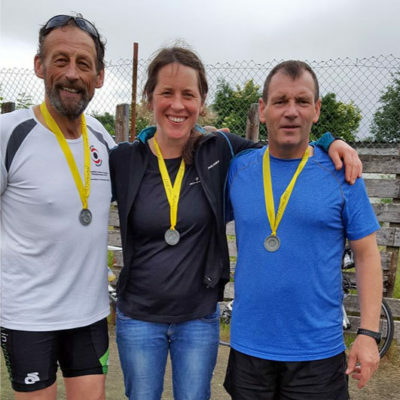 Richard, Sarah and Jill, along with fellow Inverness based triathlete Pete ventured over to the Isle of Arran to take part in the Arran Man middle distance triathlon (one of several swimming/running/duathlon/triathlon events that were taking place that weekend). The event has a 1900m swim (although it was actually just over 2km), the bike is pretty cool as it is one loop of the island which happens to be exactly 90km (the exact distance of a middle distance triathlon bike leg) and then there’s the half marathon to finish it off. If you looked up perseverance in the dictionary then you might just find a picture of Jimmy Dryden. He was taking on this beast of a race for the fourth time, which says something in itself as most people wouldn’t even consider entering once and of those that do, once is usually enough. It’s pretty brutal! This is another event that people seem to go back to year after year which is a sign of a good event. 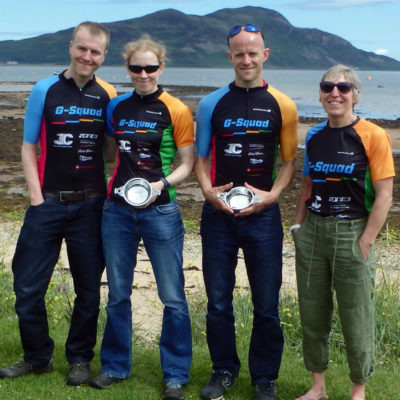 This year, Marin, George, Angus and Claire all took up the challenge of the 50 mile duathlon (20 miles on foot and 30 miles on bike). The route traverses the Scottish Highlands from the west coast in Kintail through Glen Affric and Strathglass to Beauly on the east coast.